Silver Dolphin Books, 9781626867642, 10pp. 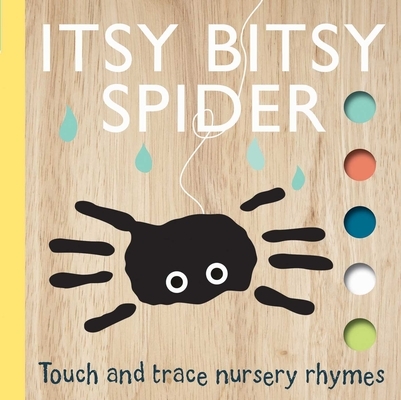 Perfectly sized for little hands, this innovative take on nursery rhymes allows young children to touch and trace along the shapes on every page as they learn "Itsy Bitsy Spider," "This Little Piggy," and more. Playful illustrations and the interactive tracing elements will make this sturdy board book a story time favorite. After graduating in 2001 with a BA in Graphic Arts from Liverpool John Moores specializing in children's illustrations, Emily Bannister has designed and created countless children's novelty and picture books. She lives and works in London.